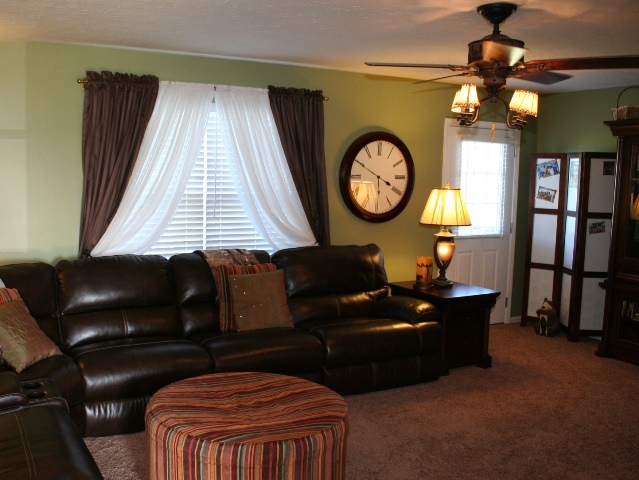 505 Watkins Glen Way in Taylorsville, KY is our newest listing and a bit of a surprise. Before I went, I looked up the price history to see what they had paid and the features of their home at that time. My clients told me that they had made several changes; they were understating their work. This was a great home that sold in 7 days. Contact the Hollinden Team today to see how we can get your home sold. Curb appeal of a home is always important and this one did not disappoint. They have spent $5,000 on landscaping and it shows. 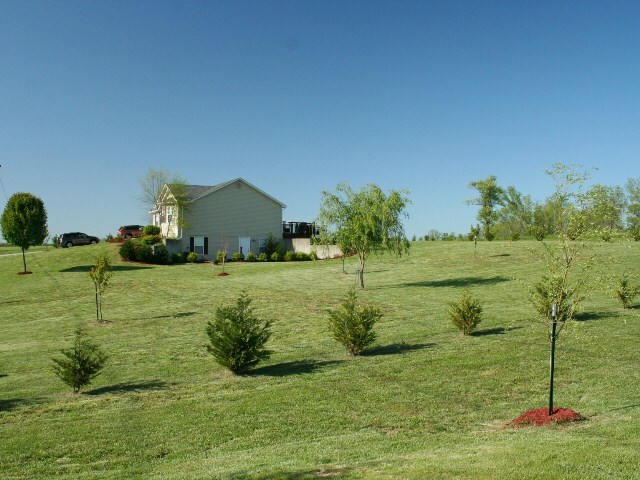 They defined their lot lines with evergreens and planted several fruit trees. I can just imagine how the place will look in a few years with some growth on the evergreens and peaches hanging from the trees. As I entered the home, I could see that the homeowners had good taste in decorating and paint colors. I asked if the carpet was new and was told that it is less than a year old. I then turned and looked at the kitchen and was blown away. They have completely remodeled the kitchen with new laminate flooring, light fixtures, granite countertops, and Stainless Steel appliances. We are talking some major bucks here. This house was also unusual as it had 4 large bedrooms and 3 full baths. The walkout basement was finished and quite the retreat. The bedroom in the basement is perfect for the teenager looking for a little privacy from the rest of the family. I don’t think that you will find a nicer home for the money than you will find at 550 Watkins Glen in Taylorsville. If you are looking in the Elk Creek, KY area, you owe it to yourself to take a look. Give Tim Hollinden with The Hollinden Team to set up with your own private showing. If you would like to see how this home compares with other homes for sale in Taylorsville, we have a custom search set up for you. For more information, call Tim Hollinden, REALTOR, at 502-429-3866.